The tasting room was well lit with the row of wines lined up on a central table. The morning light shone through the bottles – all decanted into anonymous bottles – and almost everyone who entered the room stopped and admired the jewel-like colours, ranging from the palest shell pink, through orange pink, ruby pink, to ruby red. However, as much as many admired the beautiful colours, many tasters also admitted to being prejudiced against any rosé which was not of the palest pink. I am not bothered if my rosé is a darker pink, or even almost a light red, and I have rarely found that a darker pink is an indicator of a lesser quality rosé. One taster, did however comment, that the more orange-salmon pinks made her wary of problems with oxidation. Of the 36 wines presented, there were 1 from Bulgaria, 1 from England, 1 from Chile, 1 from South Africa, 1 from Australia, 1 from Italy, 2 from Spain, 2 from Portugal and 26 from France. Of these, 4 were from Bordeaux, 1 from Languedoc, 1 from Sancerre and the remaining 20 from south east France. Without knowing where the wines might come from, I concentrated on the quality without trying to second guess their origin. Indeed the origins of a rosé wine is often not obvious in a tasting. 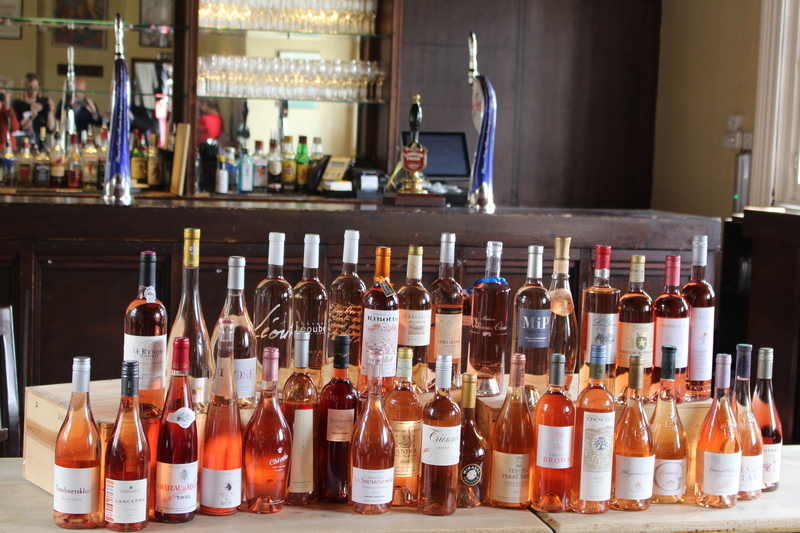 For many tasters, the modern pale, dry, crisp rosé of Provence is a benchmark style, and this was a style particularly appreciated by many tasters. But is this of benefit to the wines of Provence? Imitation is, of course, the sincerest form of flattery, but, personally, I believe the quality of Provence rosé would be enhanced by the growth in other regional styles. Being able to select different styles depending on variety and location is surely a sign that rosé will have achieved a more serious status in the world of wine. 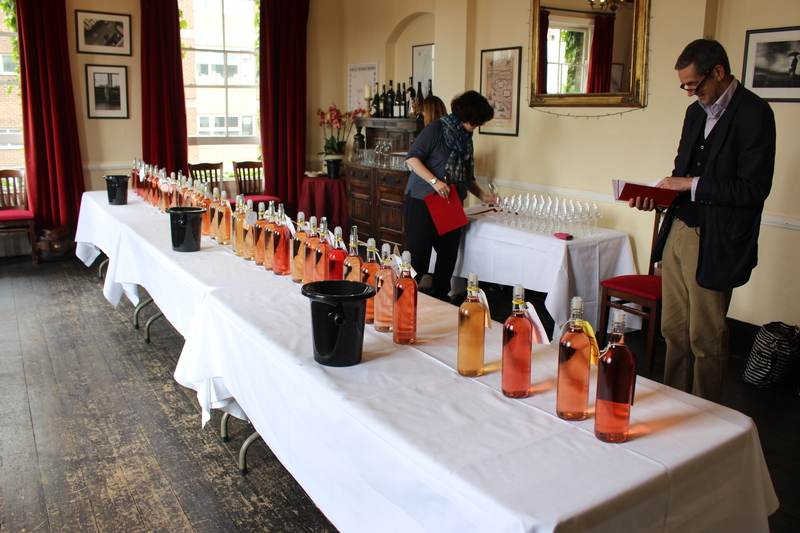 Eleven of the 36 wines had had some oak ageing, a much higher proportion than usual for a rosé tasting, reflecting the aspiring nature of these premium rosés. 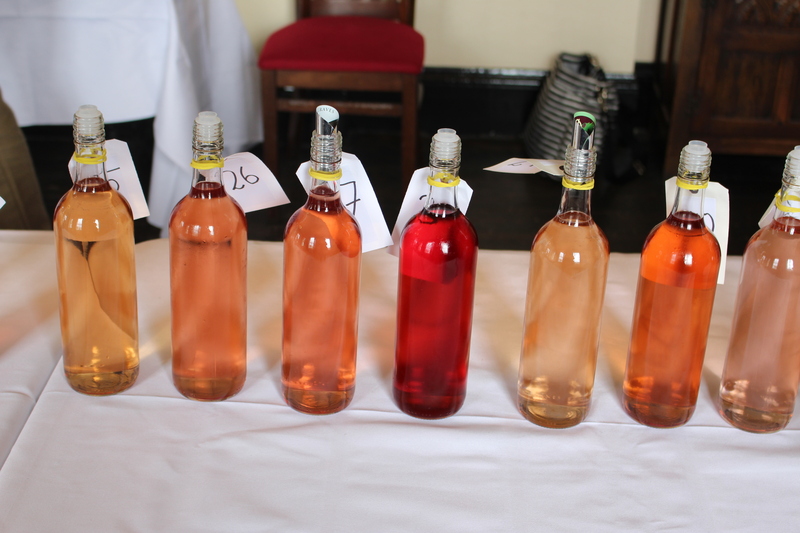 This may reflect the growing interest in creating a rosé which ages well – six rosés came from the 2013 vintage, with some ageing better than others. However, the oak needs to be handled carefully as the delicate freshness of some rosés does not handle the oaky, tannic character well. As this was a tasting of ‘premium’ rosés, I was not looking for a fresh simple wine. I was looking for a rosé with a little more complexity and weight, able to accompany a meal. Balance of long, fresh acidity with weight, and preferably dry, was the basic combination. Added complexity from fresh fruit (red, black or peachy) and/or oak character was good. Some had lovely fruit and texture, but lacked the essential acidity and length. A ‘premium’ bottle priced over £15 should be more than just a fresh simple rosé, to be drunk chilled. 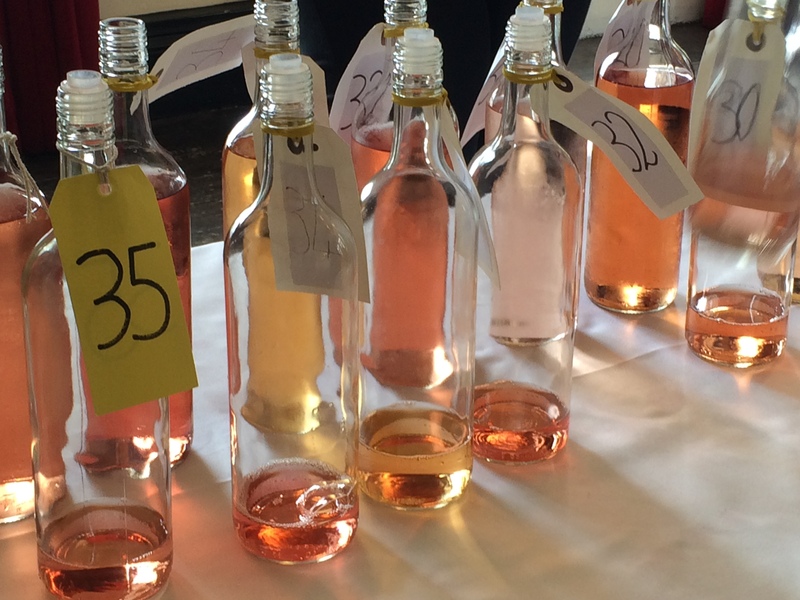 My review of Richard’s tasting in 2013 suggests that that the quality of rosés have improved – I noticed fewer heavy clunky wines this year, and a greater number with weight, complexity and freshness. At the end of the tasting we were able to go next door and admire the display of bottles in their original bottles. Here we return to the glory of the range of colours in rosé wine, and in the imagination behind their bottling and presentation. In some cases, vineyards create or use a unique bottle style for their rosé, which acts as a signature statement; on a table in a restaurant the distinct shape and style can show at a distance, for those who know, which rosé is being drunk. An amazing art form has developed for showing off these splendid pinks. Over the past few months I have seen rosé in square, oval, broad-shouldered tapering bottles, squatter Champagne-style bottles, bottles with opaque white glass, with blue glass, frosted glass and once or twice green glass (to protect the wine from UV). I would have liked a few more stellar results, especially considering the category ‘premium’. A number of wines were very nice, but not really justifying their price. Colour is definitely an added bonus in the appreciation of rosé wine. The slowly growing range of styles promises greater diversity in the future. Very interesting Liz. Not too long ago such a category of Premium Rose would have been unheard of and such tastings are wonderful to track the progression of such wines. Look forward to the Decanter report!